I'm a housewife and I'm definitely the one that in charge in purchasing almost of the groceries items in my house. Its not easy to be on track with a tide budget when you actually don't know the real price of the items you want to purchase. So how to be a wise consumer then? A cheapskate like me definitely love discount and of course lowest price. Knowing this, my friends introduce to me the new apps from KPDNKK that surely will help to be a wiser consumer in Malaysia. 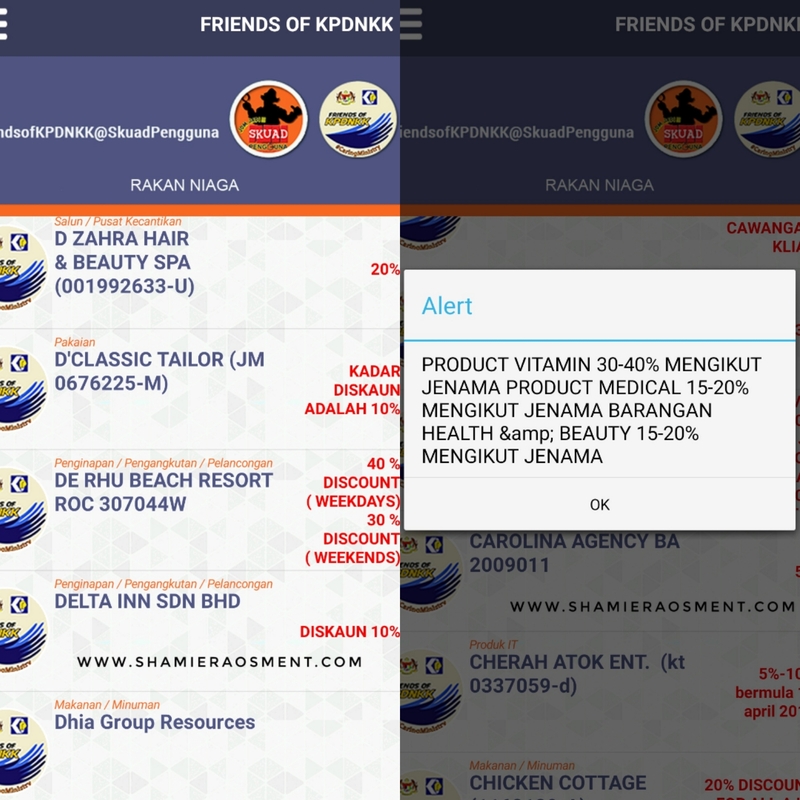 There is 3 application that you should have in your smartphone, and the first one is Friends of KPDNKK. 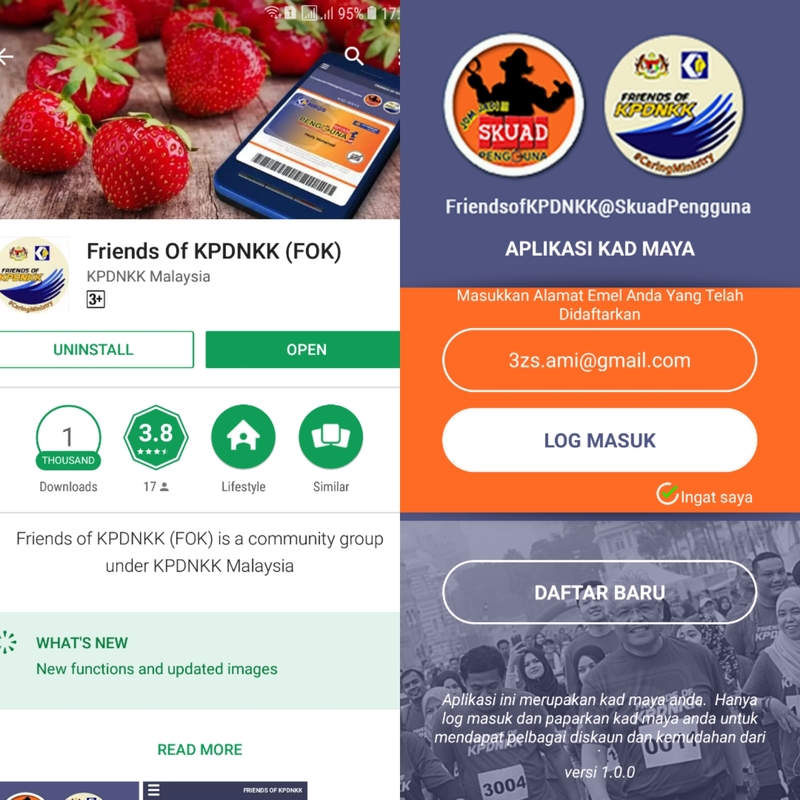 Friends of KPDNKK or FOK is an app that will act as a virtual loyalty card for the members of FOK that been produce by Bank Rakyat. This card have 3 function and will act as a discount card, loyalty card and also as identification card for as a member of FOK. So now it much easier with the apps you dont need to carry too many card in your wallet.and you still can enjoy the benefits of it anytime. 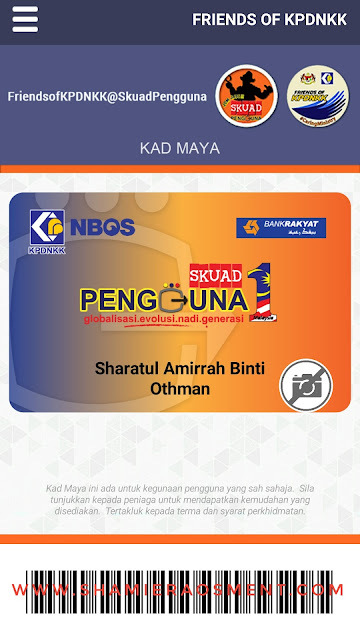 As card holder of FOK you can enjoy the discount from the product or services that being offer by the company (Rakan Dagang Bank Rakyat) that took part in this program. As you can see there is actually more than hundred company are offering their discount and previliged for the FOK. I also found out that there resort in Kuantan that offering 40% discount on their room. That is cool enough right? Is good saving for the family budget though. 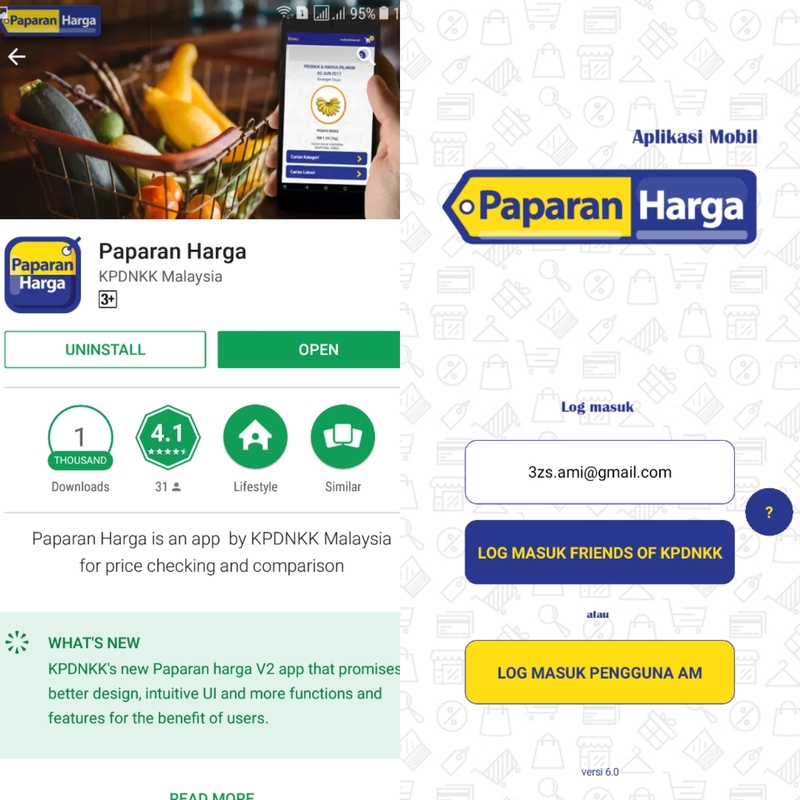 Paparan Harga is another great apps that consumer like me will love because it will show you the latest price of the control items in your location. Using the same ID from the FOK apps, you just need to fill in just a little more details for the accurate results of it. 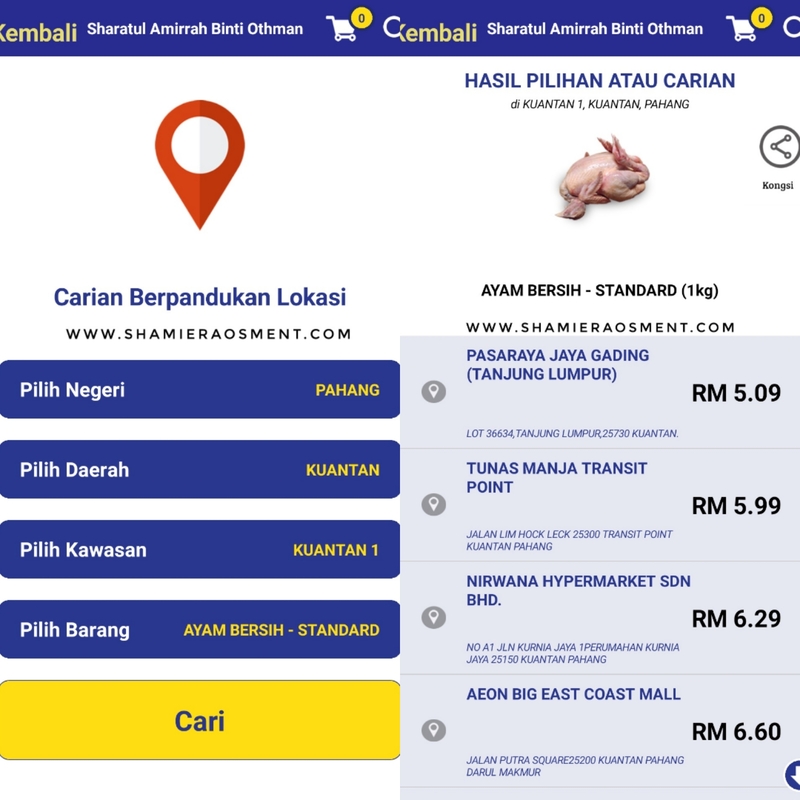 Then you can browse at the apps and compare the price from all the market before you walk in into the market. With this you can save more and more! Can you see the differences between all the markets? Great saving right? Ez ADU is a mobile smartphone application that has been developed under the initiative by the Malaysian Ministry of Domestic Trade, Cooperatives and Consumerism (KPDNKK) to empower and allow consumers to lodge and manage their complaints direct to the ministry to that proper action may be taken. Consumers can lodge a complaint using 4 simple steps. The first two are mandatory which is to fill in the complaint details and report. 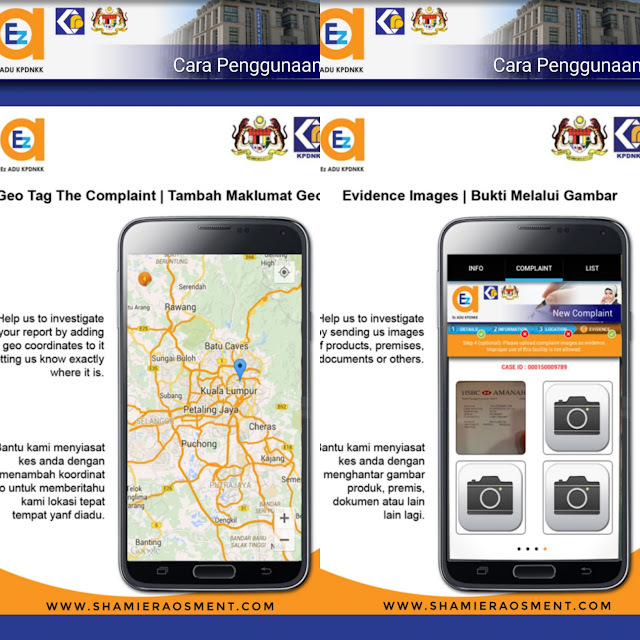 In addition, consumers can also send to KPDNKK images or take a photo as evidence and to geotag the complaint to assist KPDNKK with the investigation. 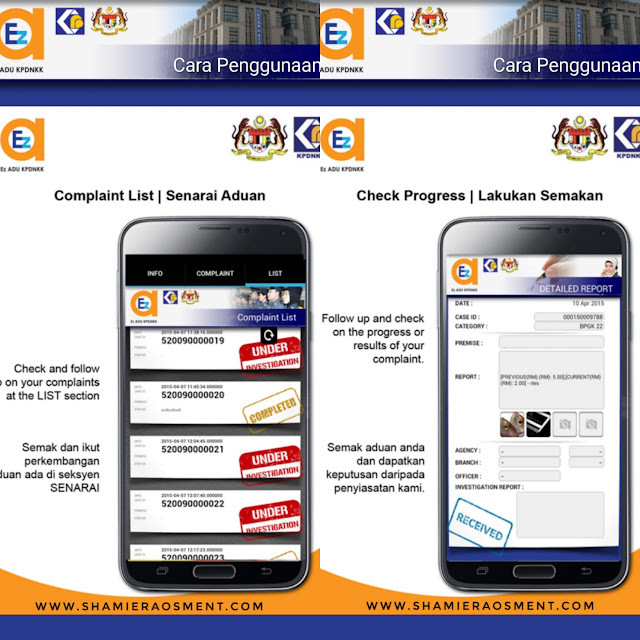 Users can also check the status of their complaints and read the reports f the investigation. 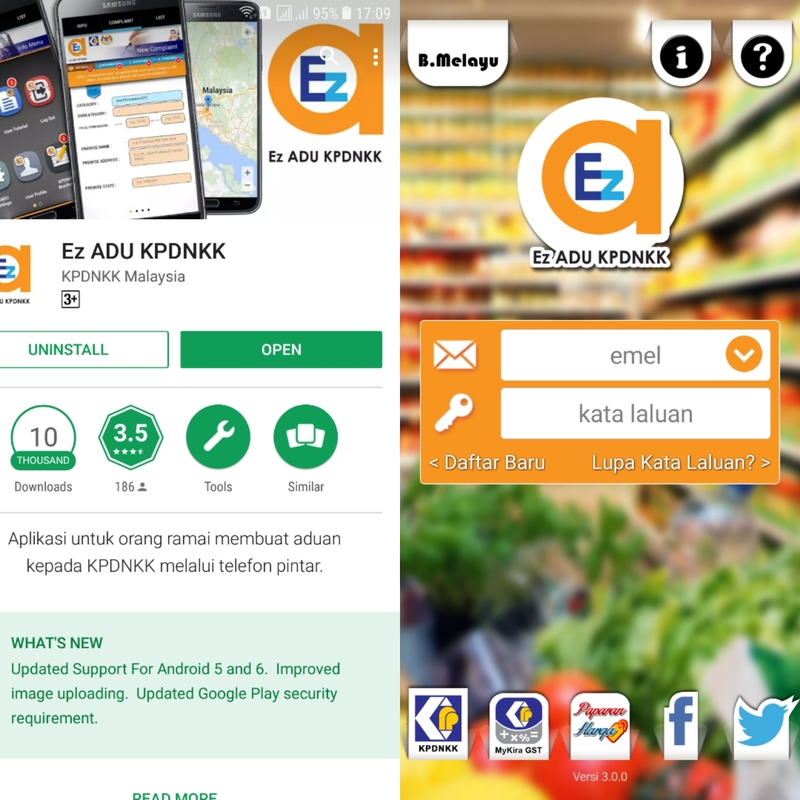 It is hoped that this Ez ADU app will help KPDNKK to ensure fair domestic trade in the country while protecting the rights of the consumer. 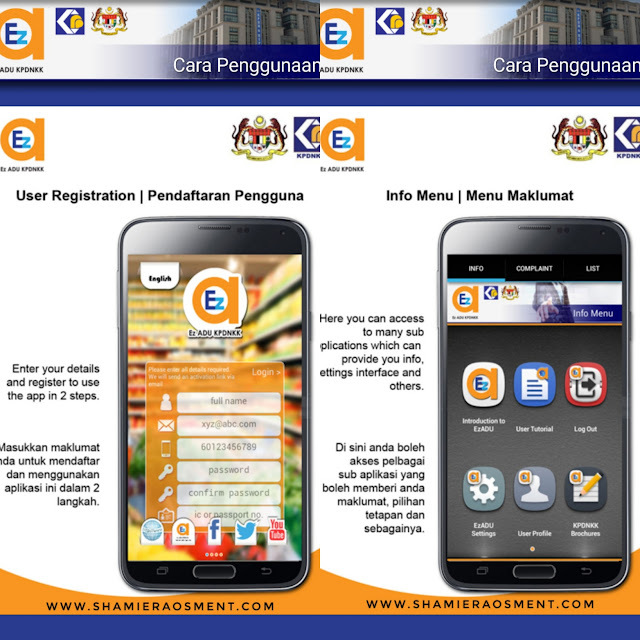 The apps is very friendly user and you can always refer on how to use it at the apps. With Ez Adu, everyone will have a chance to lodge complaint easier. 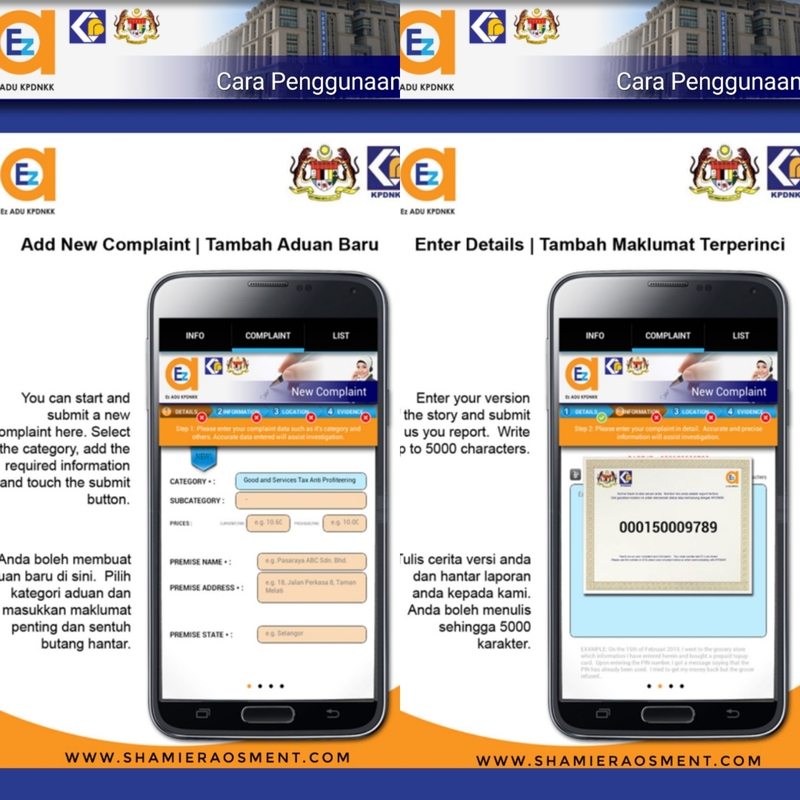 You dont need to post up your exspensive bills charges to make it viral with hopes KPDNKK will take action on it. So everyone can play their roles in this matter and hopefully there is no more issue or complaint that we consumer were cheated by the greedy seller. And by the way, the KPDNKK will reward the top 3 #kakicomplaint with cash. So lets make your complaint worth and of course at the right place! Do download all the apps asap okayh! 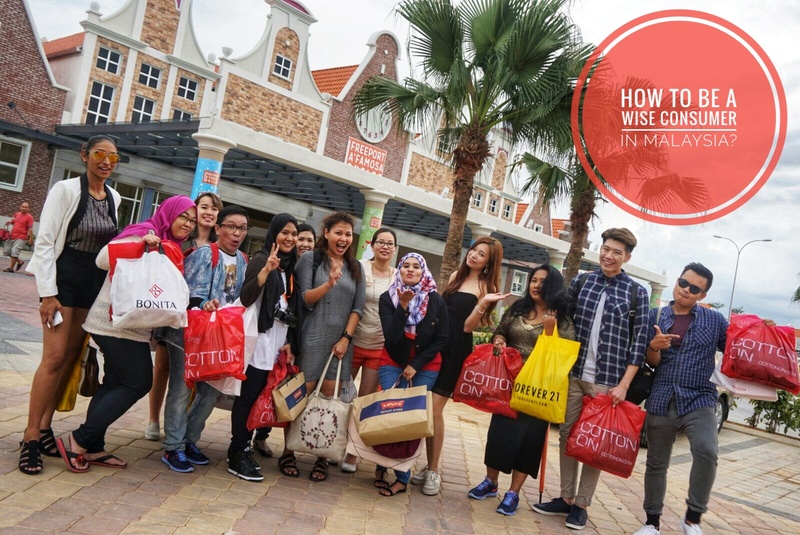 Be a wise consumer and save your budget like a pro! We at Malaysia ni selalu beli-beli dan bila ada sesuatu yang tak kenal nak viral tapi tak nak buat report kat tempat yang sepatutnya betul tak. 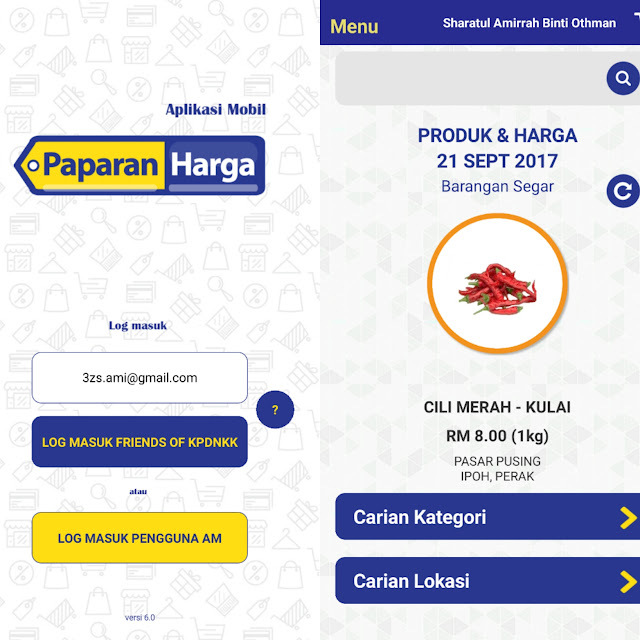 Geram kadang2. Good sharing info ami. Kita sebagai pengguna memang patut tahu hak kita dan ada aplikasi mcm ni mudah utk kita buat semakan dan aduan. Now these apps are sure handy :D Memang kena ambil tahu hak kita juga. Untung!